Bee on your way to longer and luxurious hair with Bee Loved Hair & Scalp Moisturizer!" 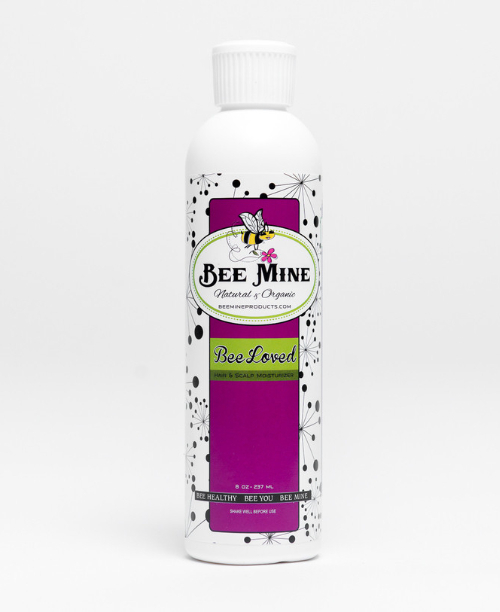 Bee Mine Bee Loved Hair & Scalp Moisturizer penetrates hair and scalp to deliver lasting moisture to your scalp and tresses for optimum growth potential. Vital vitamins, nutrients and essential oils to keep your hair and scalp it's healthiest. Great for those preferring an oil based lotion.